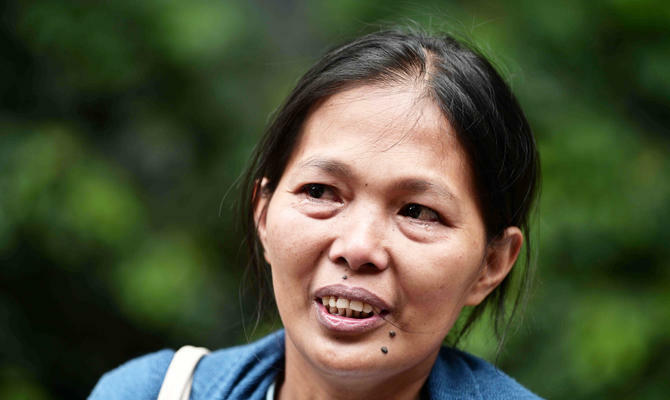 HONG KONG: A domestic worker sacked after a cancer diagnosis was awarded damages by a Hong Kong court Monday, in a case that highlighted exploitation of foreign women toiling as maids in the wealthy financial hub. 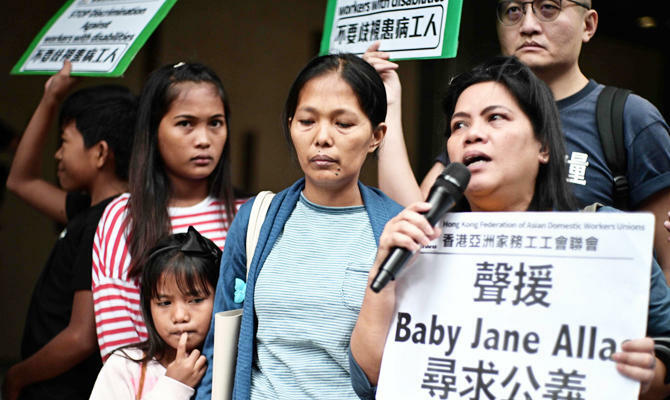 Baby Jane Allas of the Philippines was diagnosed with stage three cervical cancer in January and fired the following month by her employer, who cited the illness as the reason for termination. The 38-year-old single mother of five instantly lost the right to health care and has had to regularly apply for visa extensions as she navigated Hong Kong’s legal and immigration systems while battling cancer. She has been undergoing radiation therapy five days a week, along with chemotherapy one day a week. Allas and her former employer — who was absent from Monday’s proceedings — reached a settlement of HK30,000 ($3,800) at Hong Kong’s labor tribunal for sickness allowance, medical fees and wages in lieu of notice. “I am standing here right now to encourage more workers to come out if they have these kinds of cases,” Allas said outside the hearing. She has separately filed claims with the Equal Opportunities Commission for wrongful termination and loss of earnings, which could be brought to the city’s District Court. Allas previously told AFP that she spent just over a year working for a family of Pakistani origin who ordered her to work every day of the week. She has also said she was routinely given stale leftovers to eat and slept on a thin comforter in a cluttered store room. Nearly 370,000 domestic helpers work in the city. Most are poor women from the Philippines and Indonesia performing menial tasks for low wages while living in often miserable conditions. Allas was accompanied to Monday’s hearing by supporters and family, including her eight-year-old daughter, who clung to her waist. Her plight has generated widespread sympathy in Hong Kong and a fundraising campaign organized by her sister’s employer, Jessica Cutrera, has so far raised more than HK$900,000 for treatment. A large part of Allas’ medical bills have been covered by hospital charities but expensive surgery will likely be needed to operate on her tumors, said Cutrera.